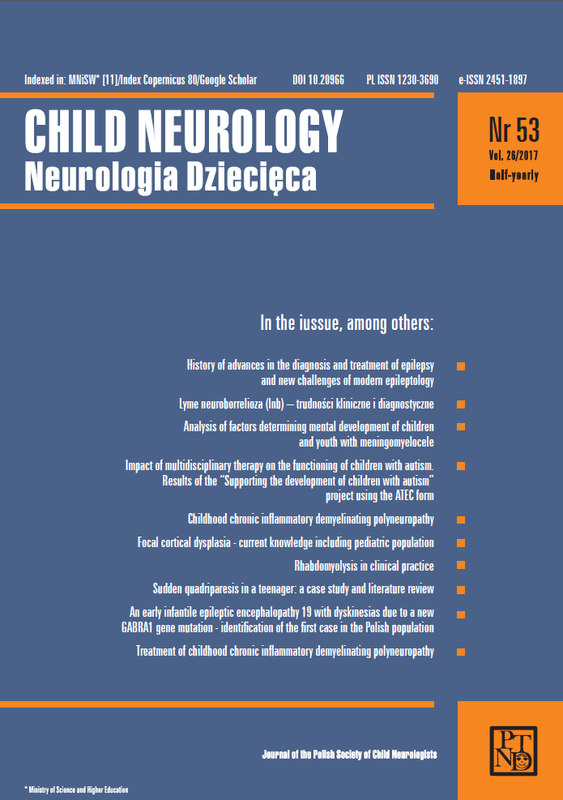 The journal "Child Neurology" publishes papers in the field of pediatric neurology. These publications relate to developmental disorders and diseases of the nervous system, clinical problems in pediatric neurology and descriptions of rare diseases found in the practice of pediatric neurologists. "Child Neurology" is semiannual issued in June and December.